Nicki’s Diapersis a one stop shop for all your baby needs. From cloth diapers, breast feeding supplies,toys and more Nicki’s diapers offers many products to buy for yourself, baby or a gift. They even have free shipping on many items and orders over $75. I received for review a Medium size Planet Wise wetbag in the Outer Space Style. After years of research they have developed a truly great wet bag that will not leak or wick at the seams. They are the first and only wet bag on the market that are not only sewn but also sealed. (Patent Pending!) You can put your wet wipes, super wet diapers, swimwear, or anything really wet into these bags. They take great care in picking the very best fabrics including matching zipper and waterproof layer. Now that we are trying to be a little more green we have stopped getting plastic grocery bags from out supermarket. I use to use these plastic bags for wet cloths, soiled items, swim gear to put in the diaper bag so it wouldn’t get everything wet while we were heading home. 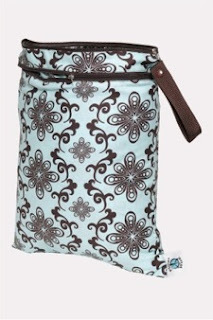 The Planet Wise Wet Bag is just the right size and fits nicely in your diaper bag or back pack. It never leaked through and the bag stayed dry on the outside. I was quite impressed and just wiped it out when I got home so it would be dry for the next time. 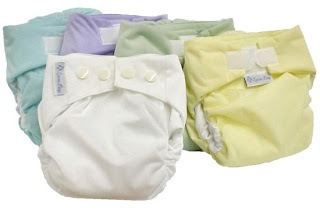 The wet bad is available in 3 sizes and can be machine washed and dried with clothes or cloth diapers. Easy and convenient. Every mothers goal. Check out the Planet Wise Wet Bag at www.nickisdiapers.comYou will have fun trying to pick your favourite pattern. They retail for only $9.50. I like the Planet Wise Swim/Diaper Bag. Thanks for the contest. I love the Petunia Pickle Bottom Diaper Bag – Boxy! I became a fan of Nicki's Diapers on Facebook.